Some can't leave home without putting mascara on. 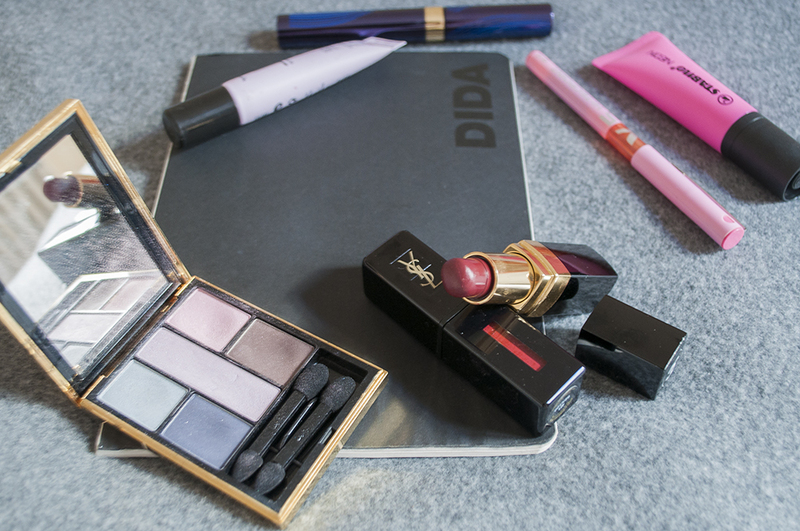 Other's go-to makeup essential is blush or concealer. Mine is lipstick! I can assure you if you ever find me without a lipstick shade on, something wrong is going on. Even when I'm off for trainings at the fencing club or I go for a run, I like to put on some SPF lip gloss or some vaseline to keep them moisten and free of super annoying dead skin. For me, lipstick is what gives color to your face when you are pale as a greek yogurt, which is absolutely my case, LOL. So, in today's post which will be super brief but significant, I wanted to share with you which are my absolute go-to's when it comes to lip makeup and those I keep buying over and over again here in Firenze. 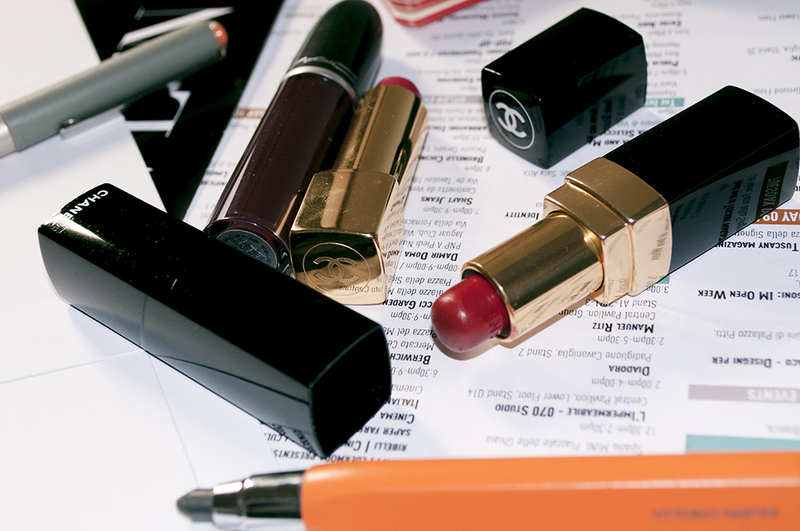 No outfit would be complete without my favorite lipstick shades! 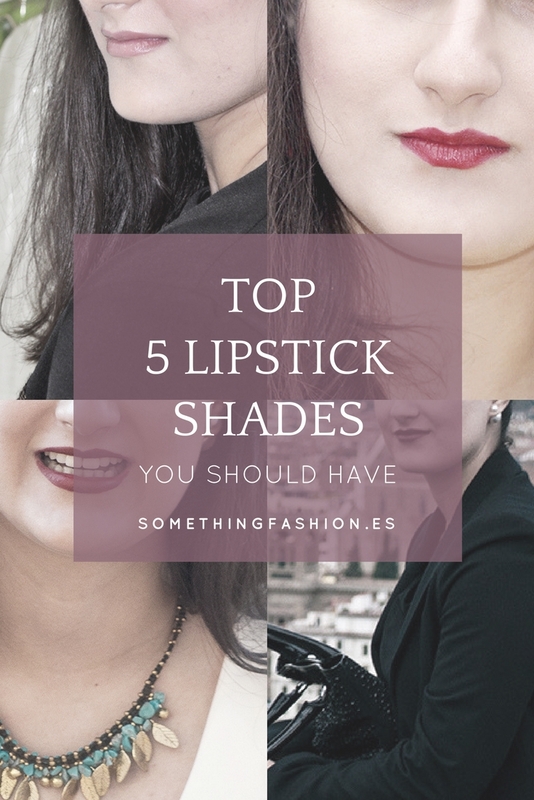 I think this TOP 5 of lipstick shades will start from the shade I don't use AS MUCH or so regularly, to little by little go to the ones that I keep restocking over and over again once they're worn out. Above: Chanel lipstick "Lune Rousse" shade // YSL Vernis à Lèvres Vinyl in shade "Rhythm Red"
#5 MAC Retro matte liquid lipstick in "High Drama"
This was my last lipstick acquisition. I was a total virgin when it came to MAC makeup, but their lipsticks have been an amazing surprise and a great add to my makeup bag. Since I first put foot in Italy, I don't know why, but I've been quite in the mood of wearing darker shades of lipstick! The firsts days here I used to darken my regular red lipstick by adding subtle spots of khôl eyeliner over it. It looked great, but it wasn't the same thing (obviously) as wearing a dark shade of lipstick (my lips would get a bit drier while doing so). Although I love it, I feel like I must follow a super strict ritual before wearing this one on, for it to not dry, get cracked or even stain my teeth. Before wearing the MAC retro matte I would always exfoliate my lips either with the Lush Bubblegum lip scrub and then add a little bit of vaseline (I use Letibalm, but Carmex or any similar one would also work). Then, proceed to carefully line with the lipstick and then fill everything! #4 Kat Von D everlasting liquid lipstick in "Santa Sangre"
I got this one as a mini-size in my last trip to Sephora before going back to Spain for Christmas Holidays. This lipstick came with the Kat Von D tattoo-liner which I was super excited to try (I've already finished it and I can't wait to restock it, LOL). And it's quite nice! I don't know if I would buy it in it's regular size, because I'm into more creamy formulas (this one's matte and I feel like even though it lasts pretty amazingly, it lets the lips too dried out) and it looks too orangey in me. But still, the "Santa Sangre" is a nice shade, great for those days when you know you'll have to deal with tons of stuff and the time for a makeup retouch is uncertain. #2 YSL Vernis à Lèvres "Rhythm Red"
I think I shared with you through the Instagram the first time I wore this vinyl gloss, which is just AH-WE-SOME. I love that the coverage is a bit lighter than a regular bar lipstick or lipgloss; it feels like something in the middle of these two. The color is super vibrant, it puts on a subtle shine and lasts forever both on the lips and in the tube (I think I have had it for almost a year now, using it on almost a regular basis and there's still plenty of it!). And last, but not least, the rouge I've been trusting since I started putting makeup on my face when I was just a teenager. For me, it's the definitive, perfect red: it has this color that resembles the iconic Ferrari color, and it just looks good with anything, no matter your outfit. It's the color that I've been using almost every single day since I was 17 and I entered university, eventually turning into my signature look. It's the lip color that I feel most identified and comfortable on and that I rely on when I'm having a bad day.